To promote the social decentralized apps I have redone the Hubzilla and Friendica apps. You can try them. Hubzilla app updated to version 3.4.1 and Friendica app updated to version 2018.05. Contribute to friendica_ynh development by creating an account on GitHub. Updated Hubzilla to version 3.4.2.Version 3.4.2 brings an important security fix so update as soon as possible. Hubzilla testing branch has been updated to version 3.6.1. Will be merged into master branch in 1 day. A major version 2018.09 of Friendica has been released changing the way it was configured earlier. So the script has to be changed entirely. Most probably the upgrade script should work smoothly as seen in my tests,but still there can be chances of failure. So its better to take backup before upgrading. Hubzilla has been updated to version 3.8.2 . Hubzilla has been updated to version 3.8.3 .
quelle est la différence entre Hubzilla et Osada car J’aimerais éventuellement remplacé Mastodon par l’un ou l’autre ? Hubzilla is advance platform based on zot protocol. Zot protocol is unique from all the networks as it provide nomadic identity, that means if you are hosted on hubzilla.domain.tld and want to go to zot.domain.tld, you can take all your stuff and sift to new location and you will not loose your contacts and posts. This is very useful as you may be hosted to other public server and want to start your own server and move to it with your data. This feature is not available on other network like Mastodon, Diaspora, Friendica,etc so they don’t recognize nomadic identity and will not talk to you if you change your location. Hubzilla is not just a social network, its a wiki, cloud with webdav, event management with caldav, forum,article,webpage platform,personal email like messages. It has various plugin to connect to mastodon(AP) , Dispora and GNUsocial. But the connectivity of the AP is not perfect as developers give more preference to NoMadic identity rather the talking to other protocols. But as the Mastodon wave came there was pressure on developers to keep good communication with other protocols. Hubzilla works on Zot5 protocol. The developers moved to zot6 protocol with a solution for both audience, people who want nomadic identity can use zap but it will not talk to mastodon or diaspora and for people who are ready to compromise nomadic identity for communication has Osada which can communicate with mastodon perfectly. This way same code base have two platform in it Zap and Osada. Once you select a platform zap or osada at installation you can not change to each other, so you have to be sure which one you have to go with. The developers gives you many option to choose. Hubzilla is very stable and is much more then a social network. Not has big crowd like Mastodon, Dispora,Pleroma but will find people who want to take control of there data and not just do social networking. The noise is less on Hubzilla and most of time you will find meaningful talks rather then flashy posts. Zap maybe future of Hubzilla but it can take years to bring all the Huzilla features to Zap and making all the people migrate to Zap from Hubzilla. Currently bridge is being formed so that Hubzilla can talk to zap/osada which will complete in few days. Zap has few bunch of people as of now. Osada is the place for social communication. It has already started to gain popularity and people prefer it over the Zap. The communication to Mastodon and Pleroma works perfectly and so you should expect much noise and flashy messages from all Hubzilla,Zap,Mastodon and Pleroma. Your will be filled with lot more posts you can read and will be up to date with all the social happenings. Friendica is all in one network that can talk to all the other protocols with bridging one protocol to talk to other. It don’t have some advance feature that Hubzilla have particularly nomadic identity, wiki, articles and web-pages. Friendica is missing ActivityPub support but is soon going to bring it( I think maybe year end) after which it would be complete network to talk to all protocols. Until then the communication to Mastodon,Pleroma will be buggy. Hubzilla is advance and stable but some of its feature go so deep that some of normal user will never need it and thus get frustrate with so many options. Moreover there are less French speakers on Hubzilla. Zap will take time to evolve to become future Hubzilla. So its no point going to it right now unless you want to test nomadic identity. You can make an account anywhere on Zap and go offline and make it back to life at anytime on any Zap network because of nomadic identity. Osada is Mastodon++ here with drop down posts UI, no minimum character limit,Html posts,forum and promise to bring new features and goodies. Hubzilla has been updated to version 3.8.4 . Hubzilla has been updated to version 3.8.5 . Hubzilla has been updated to version 3.8.8 . YunoHost App for Hubzilla Hub.  Contribute to YunoHost-Apps/hubzilla_ynh development by creating an account on GitHub. Hubzilla has been updated to version 3.8.9 . Contribute to YunoHost-Apps/friendica_ynh development by creating an account on GitHub. Hubzilla has been updated to version 4.0.1 . Hubzilla will not talk to zot6 protocol with this update. Hubzilla has been updated to version 4.0.2 . Package updated according the latest Yunohost standards. Tmp folder space is checked before backing up the core files while upgrade.